Thank you to our corporate partners for their valuable support. CAEP has partnered with UNIGLOBE Premiere Travel Planners which has reduced booking fees by 50%, the cost is $25. We urge all CAEP members to take advantage of this service. UNIGLOBE Premiere consultants are senior, experienced experts, skilled in best fares & best routing for international & trans-border travel, and key travel markets & destinations. The nominal booking fee ensures there is a dedicated Uniglobe team member available 24/7 to assist CAEP members with initial booking and also assist with making alternate travel arrangements if your travel plans are disrupted for any reason. Complete the online traveler profile form prior to booking your travel. This will optimize your experience and be used in future bookings. If you have any questions regarding the new service, please contact Gisele Leger gleger@caep.ca 1-800-463-1158 ext. 10. Send an email to callme@tass247.com. Please provide your Emergency access code, Full Name, Contact Phone Number, Email address and Reservation locator. Call from anywhere you have internet access on a computer or mobile device. Sign up for a free Skype account at skype.com and install the mobile app if you wish. Fairmont hotels are pleased to offer special rates for CAEP members. See chart below to view rates on Preferred Fairmont Hotels & Resorts. For properties not listed below, CAEP members receive a 10% discount off the best available rate of the day. Please Note: Rates do not include applicable taxes and/or fees. For properties not listed, members receive 10% off the best available rate of the day. Rates are subject to blackout dates. Subject to change without notice. Rates are quoted for single and double occupancy. Extra person charge will apply. High Speed Internet Access, local telephone charges and telephone access charges (credit card & toll free) will be complimentary with enrollment in Fairmont President’s Club unless otherwise indicated. Fairmont Hotels & Resorts’ exclusive guest recognition program, Fairmont President’s Club, is our way of delivering a higher level of service that addresses traveler’s personal choices, tastes and preferences through individual guest profiles. Reservations can be made via our Global Reservations Centre by calling 1-800-441-1414 (toll free) and can also be made online at www.fairmont.com using a unique promo code. When making reservations by phone, you will need to quote “CAEP or Canadian Association of Emergency Physicians” in order to access the CAEP rates. Identification may be required at time of check-in. 12.5% Discount on all fares except escape. 25% Savings Exclusively for CAEP Members on the SonoSim® Ultrasound Training Solution, the easiest way to learn ultrasonography for emergency medicine. Contact cbova@caep.ca for your promo code to receive 25% off your entire order. CAEP and SonoSim are partnering to provide CAEP members anytime-anywhere ultrasound training at an exclusive 25% discount. The SonoSim® Ultrasound Training Solution is a breakthrough product that overcomes longstanding barriers to ultrasound education. 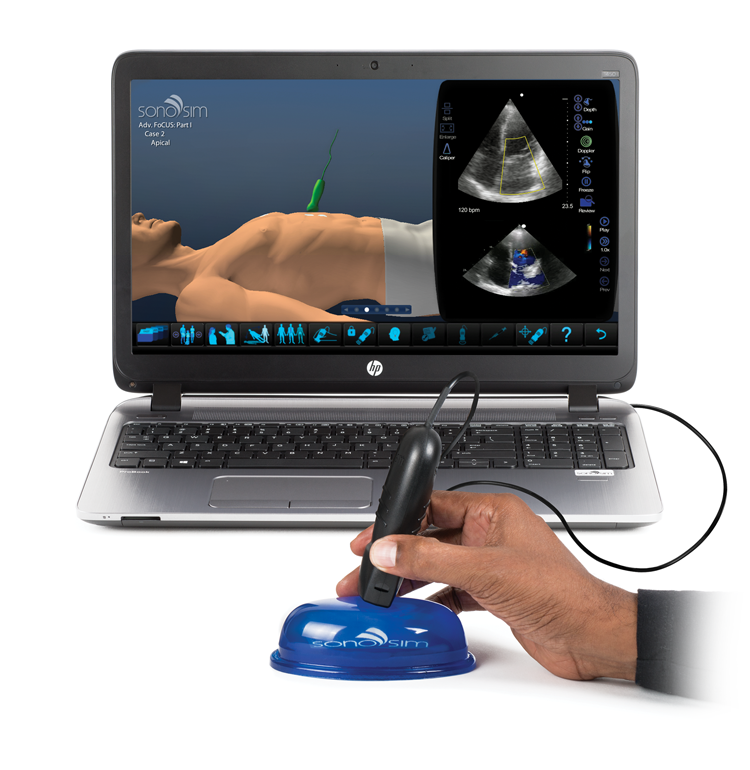 It provides integrated hands-on ultrasound training, didactic instruction, and assessment. 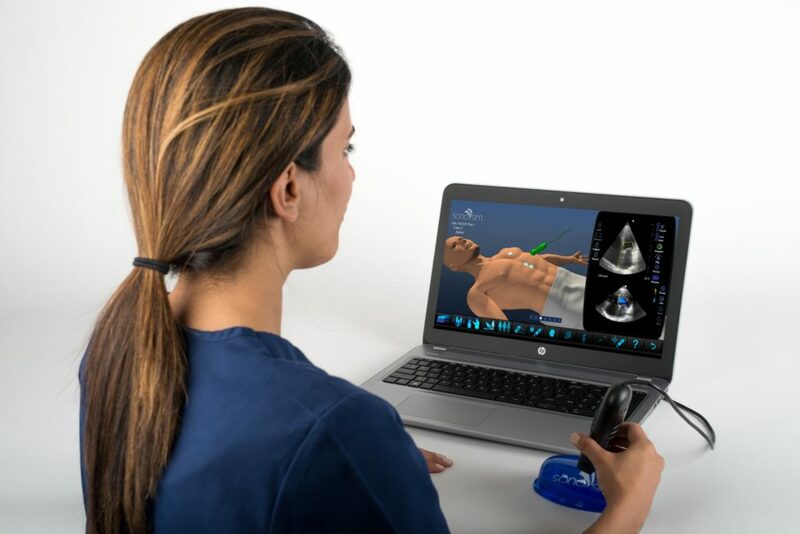 The SonoSim® Ultrasound Training Solution delivers comprehensive ultrasound training anytime, anywhere. Discount cannot be combined with any other offer. CAEP Member status must be active. SonoSim® Courses are delivered in an interactive multimedia format using still and dynamic ultrasound imagery, audio narration, computer graphic imagery, and animation. SonoSim® Courses are developed by leading experts in ultrasonography and medical education and delivered online. Cases obtained from real patients allow for an on-demand, authentic scanning experience. Learn to use the exact probe movements expert sonographers used to scan the original patients. 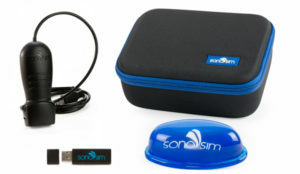 The SonoSimulator® replicates the exact tactile experience of using an actual ultrasound probe to scan a real patient. Users answer in-module and end-ofmodule knowledge assessment questions. In-module questions are accompanied by direct question-answer feedback, while end-of-module questions are automatically scored with real-time results provided to users. Hands-on training cases can be saved, annotated, and archived for performance review. Green Shield Canada is a solutions-oriented, not-for-profit corporation specializing in health and dental benefit programs. We take a closer look at our clients’ needs to develop effective solutions with concrete savings and added value. As the work world changes and our clients’ requirements evolve, so do our products. The work world is evolving. GSC HealthAssist is transforming health coverage to meet your changing needs. Provincial government health plans do not fully cover the costs of many health care services, leaving you vulnerable. GSC’s supplemental health and dental plans can fill those gaps and provide you with the protection you need. For details please contact Christina Bova cbova@caep.ca or 1-800-463-1158 ext. 17. Accounts can not be change if the contract is within its first six months of consumer activation or renewal. The Corporate plan and hardware prices cannot be blended with consumer retail offers. Cannot mix and match features. There is a charge of $50 (plan migration fee) per cellular line converted if a contract has not yet expired. The account has to be in the employee’s name and billing information. Not spouse, friend, or other family member name. The upgrade device can be ordered at www.smartcell.ca website using the employee promotional code “CAEP”. If they have more than one month remaining in the contract an early device repayment fee will be calculated. BROADWAY ACROSS CANADA™ and BROADWAY ACROSS AMERICA™ are part of The John Gore Organization family of companies, which includes Broadway.com and is operated by John Gore (Owner & CEO). BAA is the foremost presenter of first-class touring productions in North America, operating in 38 markets. Current and past productions include Beautiful, Chicago, Fiddler on the Roof, Finding Neverland, Million Dollar Quartet, Hairspray, On Your Feet!, The Producers, and Shuffle Along. Broadway.com is the premier theater website for news, exclusive content and ticket sales. Cameron Mackintosh presents the new production of Alain Boublil and Claude-Michel Schönberg’s Tony Award-winning musical phenomenon, Les Misérables, direct from an acclaimed two-and-a-half-year return to Broadway. Set against the backdrop of 19th-century France, Les Misérables tells an unforgettable story of heartbreak, passion, and the resilience of the human spirit. Featuring the beloved songs “I Dreamed A Dream,” “On My Own,” “Stars,” “Bring Him Home,” “One Day More,” and many more, this epic and uplifting story has become one of the most celebrated musicals in theatrical history. With its glorious new staging and dazzlingly reimagined scenery inspired by the paintings of Victor Hugo, this breathtaking new production has left both audiences and critics awestruck. “Les Miz is born again!” (NY1). Offer details: 15% off the select performances until December 11th, at which time, 10% off select performances will be available until the Friday preceding the first performance. All sales are final, no refunds or exchanges. Discount does not apply to VIP or Rear Balcony seating. Motown the Musical in Vancouver, Edmonton and Calgary. Offer details: 25% off the select performances until October 27th. At that time your online offer will automatically switch to 15% off select performances until December 8th, at which time, 10% off select performance will be available until the Friday preceding the first performance in each city. All sales are final, no refunds or exchanges. Discount does not apply to VIP or Rear Balcony seating. To view the current list of shows, visit the Mirvish Productions website. Or for more information on this membership benefit or to get your discount code, please contact Christina Bova cbova@caep.ca or 1-800-463-1158 ext. 17. In 1963, Ed Mirvish made headlines when he purchased and saved from demolition Toronto’s historic Royal Alexandra Theatre, one of the oldest and most famous legitimate theatres in North America. In 1993, Mirvish Productions built the Princess of Wales theatre, a luxurious 2000-seat venue two blocks to the west of the Royal Alexandra. The Princess of Wales opened in 1993 with the box office record-breaking Mirvish co-production (in partnership with London producer Cameron Mackintosh) of the musical Miss Saigon. The Mirvish theatre family doubled in size in 2008 when the company purchased two Yonge Street venues, the 2300-seat Canon Theatre and the intimate, 700-seat Panasonic Theatre. 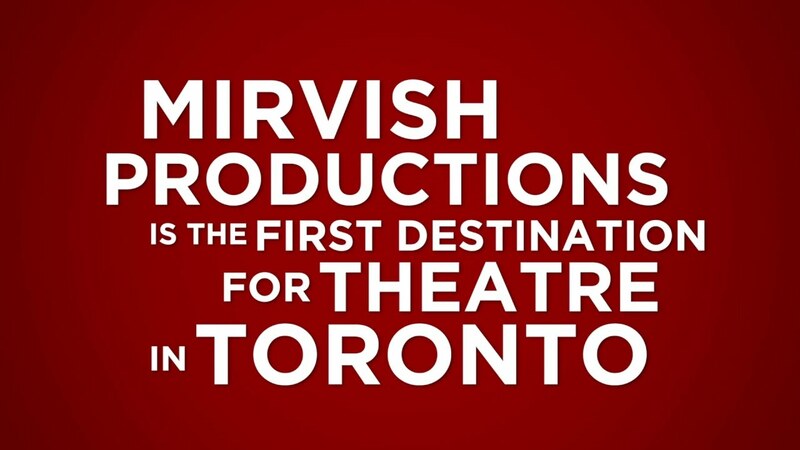 Mirvish Productions is, today, Canada’s largest commercial theatre production company. Among the notable early Mirvish-produced and co-produced shows seen at the Royal Alexandra were Brian Macdonald’s acclaimed staging of Gilbert and Sullivan’s H.M.S. Pinafore; the world tour of the English Shakespeare Company’s Henry IV and Henry V; Sweet Bird of Youth, with Joanne Woodward; Spoils of War, with Kate Nelligan (in her first Canadian stage appearance); Dry Lips Oughta Move to Kapuskasing, the first native Canadian play to receive a major commercial production in Canada; the world premiere musical Jane Eyre, which subsequently moved to Broadway; and the wildly popular Toronto production and national tours of Les Misérables. Emergency Medicine Reviews and Perspectives is a monthly audio series for Emergency Medical practitioners. Born in September 2001, it now is heard by over 20,000 subscribers every month and is the #1 audio program in emergency medicine. EM:RAP features a world-class faculty from around the globe, presenting a range of EM topics in a tightly edited audio format. Emphasis is added through the lectures by our internationally acclaimed hosts Rob Orman, Anand Swaminathan and Mel Herbert. The production team includes segment producers Josh Kurz and Wendy Roderweiss, and Sound Designer, Bill Connor, exceptional editors and production crew.